Assisted by our team of dexterous professionals, we are affianced in offering an extensive gamut of Fume Scrubber. We are offering a high-class range of Fume Scrubber. These products are made-up using top quality raw material and in agreement with global norms and standards. Offered product range is used-up in numerous industrial activities and famous for high level performance. Heatly & Gresham (india) Pvt. 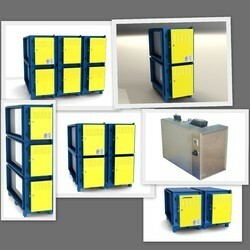 Ltd.
Square Engineer has designed and installed AIR SCRUBBERS for India's Private and govt sectors. We are a top-notch organization, engaged in providing acid fume scrubbers. We have ushered in a range of Waste Acid Fume Scrubber that are highly effective and efficient in Waste Acid Fume Scrubber of a variety of objects with different metals. These Waste Acid Fume Scrubber units can provide to diverse shapes and sizes of objects. 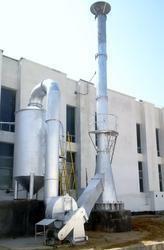 Our Waste Acid Fume Scrubber Units are also highly usefull for industry. State of art technology acid fume (plate) scrubbers are offered, which are most effective equipments for scrubbing water soluble gaseous pollutants. In this device the foul gas is brought in contact with water so as to dissolve the contaminant and thus the gas stream is cleaned. We design and manufacturer various kinds of scrubbers for pratically all kind of fumes and undertake design, fabrication and installation as per the customer's needs. We design ventury type, packed bed type and high efficiency sieve plate type scrubbers in MS, MS+ FRP/Rubber lined scrubbers. Wet scrubbers are used in chemical process and hazardous fumes. Due to the skills and proficiency of experts, we are enormously praised for providing a superior quality of Industrial Fume Scrubbers to our valuable customers.